It’s ok if you don’t have that summer body! You came with your body for LIFE! Not just for a season! Listen, YES…summer it’s on the way and everywhere you look you see tips on how to get that hot summer body fast and people doing all crazy diets to get in shape for the summer as soon as possible! Look, I agree it’s awesome to have that fit, hot body! To be able to wear whatever you want without worrying about how you look, that your cellulite is showing or that arm fat! Plus… we all feel better and more confident when we look great and there’s nothing wrong with looking stunning for the summer! Which is why, if you want that summer body you should totally go for it! But please…CHOOSE a HEALTHY way to do it! You stress your body with all sorts of unhealthy stuff, not caring so much about what you eat, how you look and what you do and then, all of a sudden you realise that summer it’s just around the corner and you’re not happy with how you look! You put some extra weight, clothes don’t fit anymore, those hot bikini don’t look good on you, cellulite decided to have a party on your arms and legs and all of a sudden you start panicking! You desire that summer body and all the advantages it gives you, you feel bad for not having it but the truth is that you totally ignored your body for more than half the year! So here’s what most people do…they start a crazy, unhealthy marathon to get that summer body! You starve yourself! You deprive your already stressed body of vital nutrients, you go to the gym and work out like crazy pushing your body over the limit thinking you’ll get that beach body faster. You search desperately for something to burn that fat faster, all those tips and tricks to trick your body, you try all you can find only to get more frustrated! The only thing you’ll achieve will be your health ruined! And even if you do lose some weight, once the summer it’s over you’ll get back to your old habits. C’mon, think about it for a second…while it’s ok to give yourself some extra attention as summer is coming it’s wise to understand that those awesome bodies you see during summer weren’t built in a month or two! You came with this body into this world and it’s yours for the rest of your life. So instead of hurting your body, your health and yourself with crazy diets and magic pills, make it a goal to get your body in the best shape possible and keep it like that! Do it for the amazing life advantages of having a healthy lifestyle and a healthy body! All your life! Not just a season. Pay attention to what you eat all year round! Focus on eating healthier for life. Make it a way of life not a diet for a few weeks. Stop focusing on losing that extra weight as fast as possible and start following a healthy and safe way of losing that fat and getting your body in shape! Fast weight loss might put your health at risk, something you don’t want right? Understand that most of those pictures you see in magazines and all over the internet are usually photoshopped or improved in a way to look like that. I’m not saying that you can’t have a stunning, fit body! You CAN. 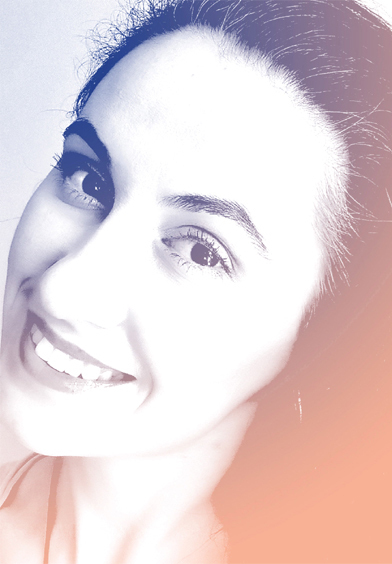 There are people who look amazing without photoshop in this world. But those people didn’t achieve those bodies in a month following a crazy diet and depriving their bodies of nutrients required to function properly! Most of those bodies are a result of years of working out and living a healthy lifestyle! Their fit bodies weren’t built over night. So the key here is to be realistic! Stop looking for the easy way. Building the body takes time. How much time? Depends on each person. How much weight they have to lose, their lifestyle, their health problems, what they eat, how much effort they are willing to put, how they are planning to lose the weight, etc. If someone wants to lose 5 kg will obviously achieve the goal faster than the person who needs to lose 20 kg! So choose realistic goals and set the right time frame to achieve them! If you’re having a hard time making positive changes in your life check out these tips for a happier life…. and if you need help to achieve your goals reading this article will help you do it! Every day we make choices and even if some choices are not easy to make, always try to choose wisely. 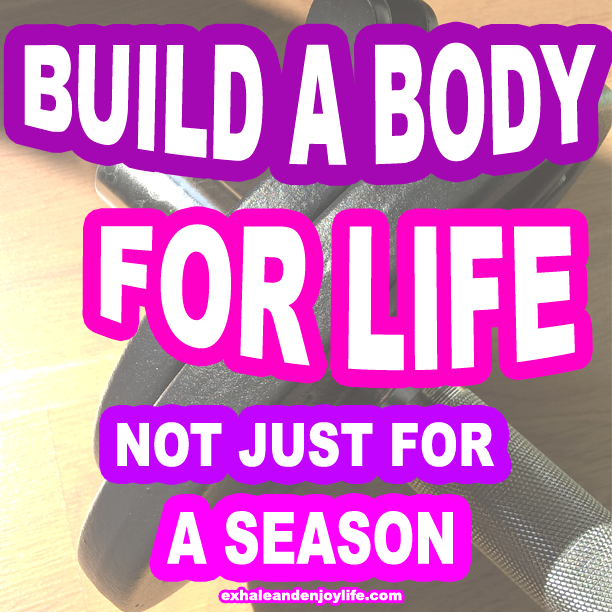 Build a body for life not just for a season! Yes! Eat healthy and walk, walk, and walk! If we keep the end goal in mind (i.e.- being healthy by making smart diet and exercises choices) then the rest will follow. Great message, I totally agree. You’re so right–it takes a lot of time. Slow and steady. Yes! Always choose the healthy way.